After my two eldest children, 21-year-old Denis and 19-year-old Peggy, were killed in an automobile accident, I didn’t have a clue how I could keep their memories alive. As I was sorting through their possessions and personal effects quite soon after their deaths, I realized that I did not want them forgotten from people’s memories. While I was throwing away their student I.D. cards, drivers’ licenses, library cards, social security cards, credit cards, and the like, I had the terrible gut feeling that I was erasing them from the world, and that was certainly the last thing I wanted to do. My heart wanted everyone to remember them forever. But the nagging question in my heart was, “How?” It was not something I knew how to do right away or even had the energy to put a plan in place. I believe the inspiration came not from my head, but from my heart, that sacred center where divine guidance is always available. As time passed, I just seemed to “blend into” the melody that was right for me. One day I ran across a poignant saying by an anonymous author, which spoke to my heart, “If their song is to continue, then we must do the singing.” A light bulb seemed to click on in my head as I realized it was up to me to “sing my children’s song.” I was the keeper of the memories. All of a sudden I discovered that without any planning, training, or organized strategy, I had been doing just that ever since Peggy and Denis died. Call it basic instinct or a “mother’s heart,” but I had been “sharing my children with the world” (as I call it) in simple, loving ways. Maybe you will recognize some that you are doing or perhaps you might discover some special new ways to keep your loved one’s memory from being erased. Talk About Them. I was good at this. No matter where I was, grocery checkout, bank queue, library desk, waiting room, or with dear friends or complete strangers, I told the world about my children. I didn’t even know at the time that “talking” was an important first step in healing. I emptied my heart and soul to both the patient, listening ears and the uncomfortable non-welcoming ears around me. It was gentle, healing therapy. I was on fire, passionately spreading the word about Peggy and Denis. If people looked weirdly at me, I didn’t even notice. I was the “self-appointed” messenger and I was doing my job with gusto. Saying their names felt good as I kept telling my sacred story. I was beginning to hum the melody. Share Linking Objects. Gifting friends and relatives with something special that belonged to my children was another way of helping people remember Peggy and Denis. They were both college students at the time of their deaths, and I made sure that their roommates and friends received something that Peggy and Denis had treasured. Whether it was a favorite sweater, book, record, outfit, poster, piece of sports equipment, jewelry, trophy, stuffed animal or picture. It was the same with relatives as I sent boxes of lacrosse and football gear to younger cousins, specific pieces of jewelry and the pick of their clothing and youthful treasures to others. Of course, my husband and I and our remaining child, Annie, had first choice, carefully choosing items that would keep us close to Peggy and Denis forever, like their school rings, favorite books and pictures, diplomas, yearbooks, Denis’ swimming medals, lifeguard hat and whistle, guitar, and backgammon set, and Peggy’s big ear rings, sorority sweatshirt, 4H projects, and flute. How could we part with Denis’ Ziggy doll imprinted with the phrase, “I is a brain”? As we gifted friends with other items Peggy and Denis owned, like a brand new 10-speed bicycle to a young fellow who was in need of one, a set of classic story books (Denis’ First Communion present) to a lovely family with three young children who would enjoy them, and Denis’ prized record collection to a former student of mine, an aspiring rock musician, we knew our children would be remembered. Although it hurt to part with their favorite possessions, it gave our hearts a lift to know that every time these articles were used, Peggy and Denis would be remembered. The lyrics were getting catchy in my song. Little did I know that my writing would be one of the main ways that people would remember my children. Whenever I discovered something that helped my heart, I wrote about it—basically to share what I had learned with others who were trying to have a meaningful life again. Many of my articles were published in various magazines across the country. All of a sudden I was invited to write a monthly column for the bereaved in a now-defunct national magazine. After that, I enjoyed writing a couple of crafts books for grieving children, Sweet Memories and A Forever Angel. These books could help youngsters “open up” to their parents and talk about the loved one who had died as they made special projects to remember that person. Then the children could gift others with the things they made to remember their special person. Continuing my writing adventure, I wrote a number of pamphlets, of which Stepping Stones for the Bereaved and Healing After Your Child’s Death were the most popular. Just sharing these ideas again and again made people feel they actually knew Peggy and Denis. Do you know what that did for my heart? My children would not be erased. My singing was gliding smoothly from one song to the next. Another thrill for me “singing my children’s song” came about when I was invited to be a columnist for Grief Digest when it made its debut in 2003. 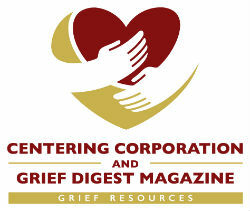 I was now writing with all the wonderful grief experts, Darcie Sims, Earl Grollman, Alan Wolfelt, Doug Manning and Andrea Gambill, who had given me the gift of hope on my grief journey! I was deeply honored and overjoyed to join the ranks of these nationally known bereavement writers who helped me create my “new normal.” I had to pinch myself to make sure I wasn’t dreaming. As my singing got louder, I just threw my hands up in the air and exclaimed, “Lord, what’s next? Quick as a wink, a dream came true for me! ACTA Publications in Chicago invited me to offer an outline and first chapter for a book to be entitled, The Death of a Child. My heart was overjoyed to be considered for such a grand project and one so dear to my heart. How great to have another opportunity to “sing Peggy’s and Denis’ song,” but this happened a few weeks after 9/11, and I was so busy helping the World Trade Center families here on Long Island (20 miles from NYC) that I couldn’t imagine finding time to write a book. I explained my predicament to the publisher and he solved the problem instantly. He said he would call me back in three months. True to his word, he called me back in January, and the rest is history. My outline and first chapter were accepted, a contract was signed, and I began writing my heart out “singing my children’s song.” If you can believe, the first copy of The Death of a Child, hot off the press, was delivered to my doorstep on Christmas Eve 2003, the most exciting, joyful Christmas present I ever received. I felt the heavenly choir singing Peggy’s and Denis’ song with me. Educate the World About Grief. I didn’t realize how much my talking and writing, “sharing my children with the world,” helped so many grieving families and those folks who were trying to understand the pain and struggles of losing a loved one. This led to speaking engagements, radio and TV appearances, participation in seminars, conferences, videos and documentaries to help the bereaved. You see the more we “sing our loved one’s song,” the more we educate the world about loss and the more we help eradicate the myths that grieving folks have to endure from the civilians (the people who have never experienced grief). We give ourselves permission to grieve, and we teach the world what helps bereaved persons. Once we learn what we need, then it is up to us to educate others, but this takes time. You can’t do it until you learn the ups and downs of grief and then find the strength to explain it to others. As your singing speeds up, you might be invited to be Keynote Speaker, as I was, at various bereavement conferences across the country! Find Your Voice. 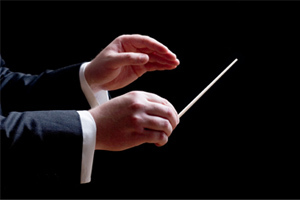 Let’s face it, we all sing differently: soft, loud, with perfect pitch or off-key, as baritone, tenor, alto or soprano. We might be soloist, part of a quartet or choir member. Maybe we just enjoy whistling or humming along with the music. “If their song is to continue, then we must do the singing.” We have to find that special way that will allow us to sing our loved one’s song loud and clear. It could be by volunteering at our neighborhood school, delivering meals on wheels, sponsoring a canine pet, taking the handicapped on a day’s outing, working to improve the environment, teaching flower arranging at the old folks home, sponsoring scholarships for college, camp, music, art education, dance or sports clinics; funding special hospital equipment or library book collections, or being a hospital or nursing home volunteer. We all answer a special need from the sacred center of our heart that connects us with our loved one. We might wish to establish a charitable foundation which services many requests for help, to fund equipment for local sports teams, to sponsor special concerts, speakers or lecture series in our community, to participate in youth, scouting, senior citizen or religious education programs. We might devote our time to working with a bereavement support group, give our energies to further the work of Cancer Care, Heart Fund, MADD, Organ Donation, Suicide Prevention, Make a Wish Foundation, or local Hot Line; or we might wish to work ardently for improving “killer roads,” a faulty court system, or melanoma awareness. Knowing you are doing something to keep your loved one’s memory alive keeps you passionately busy, allows you to tell your sacred story, adds joy to your heart, brings an array of beautiful, loving people into your life, and rewards you with a meaningful life again. Your loud voice will echo in many hearts making sure your loved one is never erased from memory. So practice those scales, rehearse those notes, and get busy singing your loved one’s song! It’s never too late to lead the chorus.